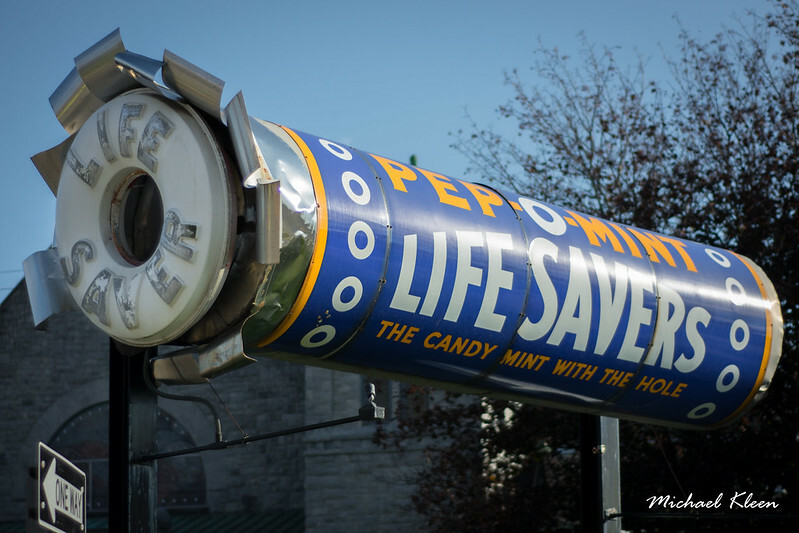 Giant Pep-O-Mint Life Savers statue in downtown Gouverneur, New York. According to the Gouverneur Museum, the statue is a tribute to Edward John Noble, a Gouverneur native who founded the LifeSavers Candy Company in 1913. A man named Clarence Crane actually invented the candy, but he sold his business to Noble. The Rotary Club erected the statue in 1987. Good plan. Road side attractions are fun people love them. we have tonnes of them around here I hope to put a post together of my collections from NB and NS but I still have a few to get yet.